This is the lead form override for "A Guide To Selling Your Home". Below are five items you want to be aware of when you are choosing to sell your home. These five tips have been proven effective in selling homes throughout history. The most important step in selling you home is pricing it accordingly for the market and neighborhood you live in. It is no secret that overpriced homes take longer to sell and are usually sold at a lower price because they remain on the market for too long. Having a knowledgeable and experienced real estate agent comes in handy when deciding what price you want to list at. Since a majority of the showings for your home will occur within the first 30 days, it is critical that the initial listing price matches the expectation of buyers looking in your neighborhood. Along with providing experience, a real estate agent will be able to provide a detailed comparative market analysis (CMA) for selling your home. Since the price is a critical component in selling your home, analyzing other homes in your neighborhood will help to ensure you are choosing the appropriate price when listing your home. Another important factor in selling your home is making sure that it looks top notch for pictures, open houses, and showing requests. This does not mean that you need to run out and buy a bunch of new items for your house, just make sure to clean up after everyone living in the home. Removing clutter and organizing your home will make it feel more inviting and welcoming to potential buyers. Buyers want to visualize themselves in the home and removing clutter will help to make this easier for them. Your real estate agent should come to your home before placing it on the market to see if they can recommend any improvements or repairs that might help is sell quicker. When you have decided you are ready to sell your home, it is important to have knowledge of the current housing market. This is another area where your real estate agent will come in handy with their experience in the real estate profession. Having a real estate agent that is aware of the current market will make the selling of your home a more smooth transaction. In addition to being aware of the current housing market, you want to know what you real estate agent will do to market you home to potential buyers. Since over 90% of buyers search for homes on the internet, be sure that your real estate agent is doing everything they can to market your home on the internet. When choosing the right real estate agent for you, make sure you choose one that will put the effort into marketing your home every way possible. After listing your home, the showings will begin and people will start walking through your home with the interest in buying it. This is an exciting time in the selling of your home and the number of showings you have will be a good indicator if numbers 1-3 have been done correctly. Along with the showings of your home, your real estate agent should be able to provide you with feedback from the potential buyers who have seen your home. Feedback can be beneficial in learning what buyers think of your home when they take a walk through. If numbers 1-3 have been done the right way, there should be no reason why buyers are not interested in your home. Consider less than desirable feedback as a way to improve and attract more potential buyers to your home. 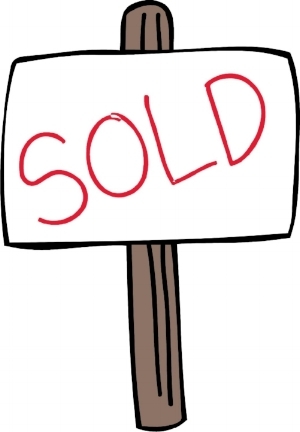 Now comes the exciting part of selling your home, receiving an offer from a potential buyer. Your real estate agent will receive the offer from the interested party and present it to you for review. This is the part where having a trusted real estate agent to guide you through the process is important. If it comes down to negotiating over the price or specifics of the contract, you will be glad you have them to assist you. After you negotiate the terms of the contract, the selling process can begin.